Neil is an affiliate member of the National Speakers Association and frequently speaks to organizations. Neil brings energy, passion and excitement to his speeches and has a unique talent for finding a way to touch every person in the audience. He has extensive experience as an event, meeting, luncheon, and dinner speaker for various outlets, from corporations, trade associations, educational organizations, and service organizations to lecture series and fund-raisers. He has spoken before numerous civic and business groups, conferences, and trade organizations, including the Design-Build Institute of America, the American Public Transportation Association, the American Road & Transportation Builders Association, the U.S. Privatization Revolution Conference, the Rail BOOT Conference, the Australaisian Urban and Regional Information Systems Association, the Canadian Association of Municipal Administrators, the American Association of Cost Engineers, and the Long Beach Economic Outlook Conference. 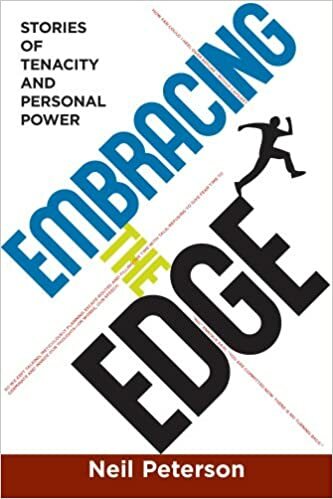 Inspirational – Uplifting stories from Embracing the Edge, Neil’s recently published memoir. The Rogue Wave Survival Story – A heart-stopping, tear-evoking story by the leader of the five-person hiking party that survived being swept away by a rogue wave and trapped in a cave. Attention-Deficit/Hyperactivity Disorder (ADHD) – The eye-opening and shocking revelations about a critical mental health disorder that afflicts 20 million Americans—and deeply affects their family, teachers, friends, and coworkers. As father of two children with ADHD, founder and president of the Edge Foundation, and as someone who has ADHD himself, Neil is specially equipped to speak knowledgably and passionately on this topic. Solving Our Transportation and Congestion Problems – The unique and bold perspectives from a transportation leader. Neil has led the transportation agencies in Los Angeles, Oakland, and Seattle with award-winning results and dramatic shifts toward modernization. 30 Miracles – The fascinating entrepreneur's story from the founding CEO of the internationally acclaimed carsharing company Flexcar, now Zipcar (which was recently acquired by the Avis Group). While the idea of carsharing has been operational in Western Europe for years, what was new was the ability to successfully introduce the concept and gain traction for it in auto oriented USA. Flexcar/Zipcar provides an answer to Americans' desire to reduce their reliance upon foreign oil, meet environmental goals, fight global warming, decrease carbon emission levels, and make our cities more livable. Flexcar and Neil have been featured in national media outlets and have received numerous awards. Neil was the featured guest on the Dave Ross Show on KIRO Radio (710 AM, 97.3 FM) Thursday, December 4, 2008 at 11 am. Listen to the interview. Neil Peterson photos – click to enlarge and download. Note that all photos are in JPEG format – 300 dpi.